If you've just cut your finger off in a table saw, it's pretty clear that the emergency room should be your next stop. But not all emergencies are quite that clear-cut. Emergency rooms are the most expensive places to receive medical treatment, so for non-emergency situations, insurers want their members to utilize other, lower-cost venues, including urgent care centers or a primary care provider's office. When patients use non-ER facilities, it's less costly for the insurer, and that translates into lower overall healthcare cost—and lower insurance premiums—for everyone. But in the case of a life- or limb-threatening situation, an emergency room will likely be the only place that's properly equipped to handle certain situations. And the conundrum is that most people aren't trained in emergency medicine, so if in doubt about the severity of a medical situation, erring on the side of caution (i.e., going to the emergency room) generally seems like the most prudent solution. For the most part, insurers pay for those trips to the emergency room. But Anthem has caused controversy with new rules in Georgia, Indiana, Missouri, and Kentucky (effective July 1, 2017), that shift the cost of ER visits to the patient if a review of the claim determines that the situation was not an emergency after all. A patient profiled by Vox went to the emergency room in Kentucky with debilitating abdominal pain and fever. Her mother, a former nurse, had advised her to go to the emergency room, as her symptoms were associated with appendicitis, which is considered a medical emergency. But it turned out that she had ovarian cysts instead, something that was only pinpointed after medical care had been provided in the ER. Anthem then sent her a bill for more than $12,000, saying that her claim had been denied because she had used the emergency room for non-emergency care. The patient appealed, noting that she had no way of knowing that her pain wasn't an emergency until the ER physicians diagnosed her. Eventually, after her second appeal (and after the patient discussed her story with Vox), Anthem paid the bill. Anthem's new rules are likely affecting many other patients across those four states. But surprise medical bills triggered by a trip to the ER are not new. Some states have similar rules for Medicaid enrollees, with higher copays for non-emergency use of the emergency room (although in keeping with Medicaid rules, the copays are still nominal when compared with the cost of the care provided in the ER). And people who inadvertently find themselves at an ER that's outside of their insurance plan's network can end up with substantial medical bills, despite the fact that the ACA requires non-grandfathered health plans to cover out-of-network emergency care as if it's in-network. Those claims have long been subject to scrutiny, with the insurers double-checking to ensure that the care was actually an emergency before paying the out-of-network ER bills. And even if the insurer does pay the claim as if it were in-network, the out-of-network ER is not obligated to accept the insurer's payment as payment in full, since the ER has no contract with the insurer, and can balance bill the patient for the portion of the bill left over after the insurer pays. If it were an in-network facility, the ER would have to write off a portion of the bill, under the terms of the contract with the insurer. But there's no such requirement for out-of-network facilities. The nature of emergency care makes it difficult for patients to jump through insurance hoops that would otherwise be fairly straightforward. In non-emergency situations, people routinely call their insurance company to ask about prior authorization or check with a primary care doctor or nurse hotline to see what care is recommended. But in an emergency—or what appears to be an emergency, from the patient's perspective—those things may be overlooked. And for the most part, that's the way it's supposed to be. If your spouse is having a stroke, you're not supposed to worry about calling your insurance company—you're supposed to call 911 or get to the ER as quickly as possible. But when consumers hear stories about insurers denying ER bills because the insurer later deemed the situation a non-emergency, it's understandably worrying. The patient in the Vox article noted that after the experience she had with her ER bill and the Anthem claim denial, in the future she'll "go to primary care, and they’ll have to force [her] into an ambulance to go to the emergency room." The deductible and out-of-pocket costs on your plan, and any copay that applies to ER visits (note that some policies will waive the copay if you end up being admitted to the hospital via the ER, and the charges will instead apply to your deductible—these are the sort of things you'll want to understand ahead of time, so call your insurance company and ask questions if you're unsure how your plan works). Whether your plan covers out-of-network care, and if so, whether there's a cap on your costs for out-of-network care. In addition, if there's more than one ER in your area, you'll want to determine which ones are in your plan's network and which are not, since that's not the sort of thing you want to be worrying about in an emergency situation. Whether your plan has a rule that would result in a claim denial for non-emergency use of the ER. If so, familiarize yourself with your insurer's definition of emergency versus non-emergency. If the guidelines don't seem clear, call your insurer to discuss this with them, so that you can understand what's expected of you in terms of the type of facility you should utilize in various situations (Anthem outlined the guidelines in the letter they sent to members in 2017, when their new rules in Georgia, Indiana, Missouri, and Kentucky took effect). What your insurer's requirements are in terms of prior authorization for subsequent medical procedures that stem from an ER visit. What Should You Do If You Get an Unexpected ER Bill? If you get a larger-than-expected bill after a visit to the ER, reach out to your insurer and make sure you understand everything about the bill. Is it a balance bill from an out-of-network ER? Or is it a claim denial because your insurer deemed your situation a non-emergency? The former tends to be much more common, but it's also, unfortunately, a situation where the patient has less in the way of recourse. Check with your state's insurance department to see if there are consumer protection laws or regulations in your state that address balance billing in emergency situations. There's no federal regulation preventing balance billing from out-of-network providers, but some states have addressed the issue. If there's nothing that your state can do, reach out to the out-of-network ER directly and see if they'll negotiate with you. They may be willing to accept a smaller amount as payment in full. If your plan isn't grandfathered, the ACA guarantees you the right to an internal appeal process, and if the insurer still denies your claim, you also have access to an external review by an independent third party (here's a summary of how the appeals process works). You can start by initiating the internal appeal process with your insurer, and also by reaching out to your state's insurance department to see if they have any guidance for you. Keep track of what happens during the appeals process, including names of people you speak with and any communications you receive from your insurer. You'll also want to keep the hospital in the loop, as they may need to submit additional information to the insurance company in order to demonstrate that your situation warranted a trip to the ER. If the internal and external appeals are unsuccessful, you'll want to address the situation with the hospital. They may be willing to reduce their bill or set up a manageable payment plan. The news of Anthem's new ER guidelines in Georgia, Indiana, Missouri, and Kentucky was met with an outcry from patients and consumer advocates. The American College of Emergency Physicians pushed back with a video created to highlight the flaws in a system that essentially tasks patients with understanding what is and isn't an emergency, when some situations simply can't be assessed without running tests. Anthem has said that their approach is based on language that was already in their contracts, and that the "prudent layperson" standard has always been used but is now being enforced (i.e., if a "prudent layperson" would consider it an emergency, then it's an emergency). But clearly, this is a controversial move. Patients, medical providers, and consumer advocates worry that the practice could spread to more insurers, leaving patients with indecision (at a very inopportune time) about whether to seek care in the ER, resulting in potentially poorer health outcomes. But Anthem, and perhaps other insurers to follow, is focused on reining in the cost of health care—a task that virtually everyone agrees is necessary, but few agree on how to accomplish. 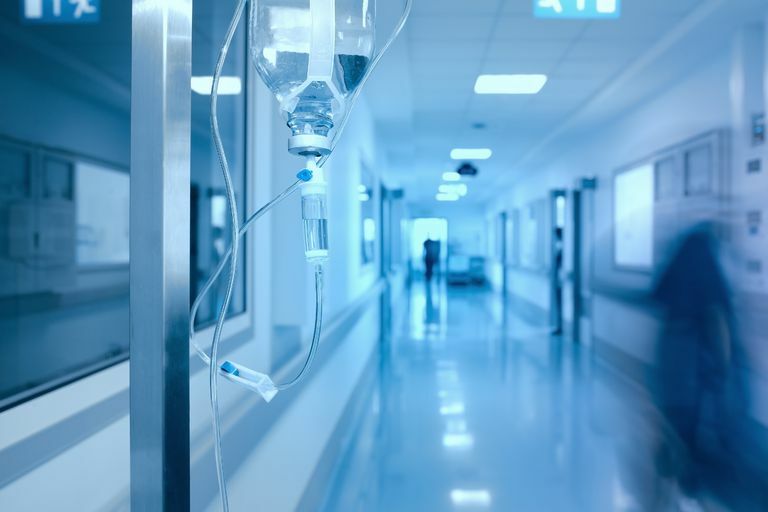 And although claim denials for retroactively determined non-emergency use of the ER are generating confusion and concern, the issue of surprise medical bills following an ER visit has been an ongoing problem that far predates Anthem's new policy. Individual states have been working to address the issue in some cases, but it remains a problem in many areas of the country. Although the solutions seem obvious when looked at from the perspective of a patient or consumer advocate, it's challenging to get all of the stakeholders on board. For the time being, consumers need to understand as much as they can about how their coverage works and what their appeal rights are if they find themselves with an unexpected bill after a visit to the ER. American College of Emergency Physicians. Emergency Physicians Expose Anthem's Harmful Emergency Care Policy With New Video. January 17, 2018. Centers for Medicare and Medicaid Services. Internal Claims and Appeals and External Review Process Overview. April 12, 2017. National Association of Insurance Commissioners, Map: States and Jurisdictions. Pollitz, Karen. Kaiser Family Foundation. Surprise Medical Bills. March 17, 2016.